The 29th annual Parade of Nations, "Global Beats, International Treats," will take place on September 15th, 2018. 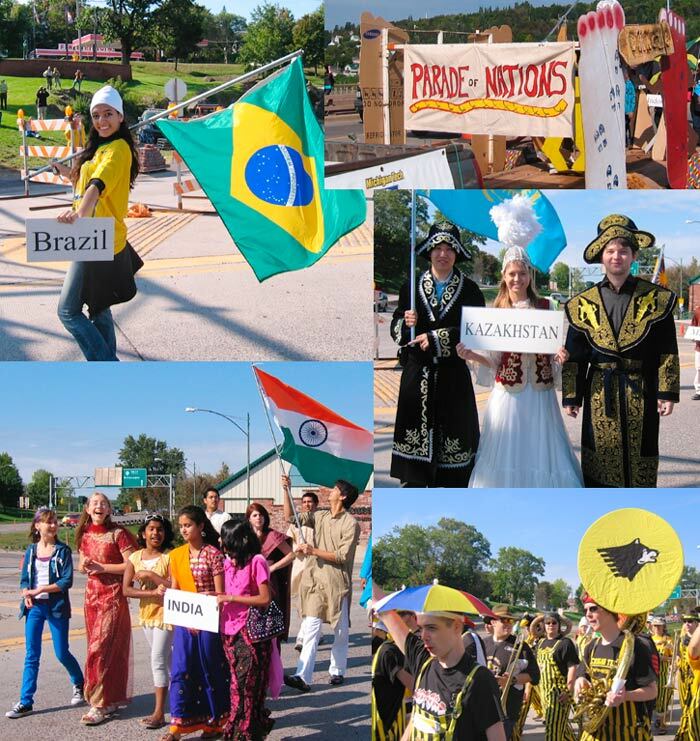 The Parade of Nations strives to promote worldwide culture and national awareness in Michigan's Upper Peninsula through a community-wide annual event that includes a parade and a multicultural festival. The parade begins at 11:00 a.m., making its way through Hancock across the Portage Lake Lift Bridge to Houghton. There's a float contest featuring $600 in cash prizes. Everyone is invited to march with their country. The procession winds up at Dee Stadium, an historic waterfront venue transformed into a global marketplace featuring dozens of food and craft booths and performers from around the world. No-cost children's activities and meals averaging in the $5.00 - $8.00 price range make this an affordable-yet-exotic family experience. The 2018 Parade of Nations headline act is "Ole," a comedic guitar-playing singing trio, who is known for playing exhilarating sounds from the rhythms of flamenco to salsa, swing, blues, jazz and pop - it's a wonderful celebration of music and comedy, full of surreal invention and fun! Ole will take over the Rozsa Center's stage on September 15, 7:30 p.m. Tickets can be purchased here.